Although there are many ways to go green, such as recycling and using less electricity, some cities are being innovative and creating new ways to be eco-friendly and support a healthy and sustainable environment. SaveOnEnergy.com® searched and found five cities supporting a cleaner environment. 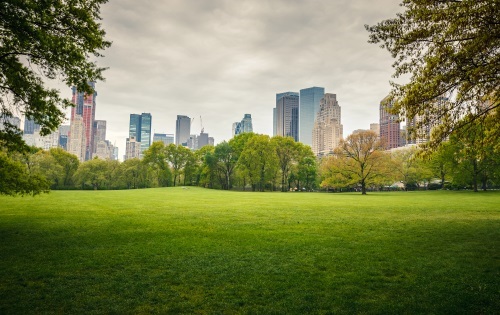 Check out how these cities are transforming the way we look at going green. Thanks to Fast Company, shepherds in western Turkey are now using their donkeys to stay connected online. These shepherds are tethering solar panels and battery packs to the donkeys they travel with and use the generated electricity to stay online and power lights. The advantages of these solar panels are for sheepherders to stay connected to civilization and also have light when their animals give birth. Kingston, Jamaica, recently unveiled the world’s largest wind and solar hybrid renewable energy installation. Developed by WindStream Technologies, this installation is expected to save more than $2 million in energy costs. The installation incorporates 50 of WindStream’s SolarMill devices and operates on the rooftop of a prominent law firm. The UniverCity Childcare Centre opened in 2012 and is expected to be the first building in Canada to meet the Living Building Challenge, the strictest rating system for sustainable design of which only 18 buildings worldwide have met the criteria. Meeting this challenge will mean the building generates as much energy as it uses, collects or recycles more water than it consumes and is built and operated using nontoxic materials, sourced as locally as possible. The center provides space for 50 preschoolers and is the only preschool that integrates advanced environmental design with the Reggio Emilia childcare model, emphasizing three teachers: the educator, the environment and the community. Sainsbury’s supermarket in Cannock will be the first retail store to be powered solely by food waste. Leftover food from the supermarket that cannot be used by its charity partners to feed people and supply food banks will be transported to a plant where it’ll be turned into gas that is then used to generate electricity for the store. As the Brits would say, the store is running on rubbish! Students in NYC are getting their hands dirty learning how to grow organic fruits, vegetables and grains. Edible Schoolyard NYC is a program brought to NYC public schools that educates students from kindergarten to fifth grade on proper nutrition and health by integrating garden and kitchen classes into the school curriculum. The program aims to combat childhood obesity and show children sustainable eating practices. The program currently has showcase schools in Manhattan and Brooklyn and is dedicated to establishing one in all five NYC boroughs.